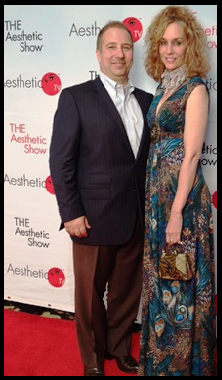 Have you had Restylane or Juvederm in RI? For those who have had Restylane or Juvederm injections in the past know what I am talking about. Hypodermic sharp needles can only cover a very small area of the face, so several injections are often needed to achieve your desired result. Not only does this increase discomfort and pain for the patient during dermal filler injections, but the greater potential to damage nerves and blood vessels beneath the skin can cause more bruising, swelling or possible other complications. Enter the revolutionary blunt tipped microcannula. I hesitate to call it new, as I have been using it exclusively at Victory Medical Spa for most of my patients since it’s inception over 3 years ago. Only one or two entry points are usually needed for a particular area of the face. Once inserted under the skin, the flexible non-sharp medical device is able to move around blood vessels and facial nerves, so very little to no damage is caused. I am able to easily manuvere deep under the skin and place dermal filler exactly where it needs to be to restore volume loss. Radiesse in the cheeks, Restylane in the lips & tear troughs and Juvederm in the nasolabial folds & marionette lines are easily filled achieving what many feel is a more natural look. There is no doubt in my mind that the microcannula will become the future standard of care for injectables such as Juvederm, Restylane and Radiesse. If you could offer your patients dermal filler treatments with less swelling, less risk of bruising, and less risk of complications, why would you not? Making the decision to offer this option to my patients was a no-brainer for me and it still baffles me why many others in the medical profession have not done the same. The microcannulas do cost a little bit more than the sharp needles but this is a small investment I absorb on my end to be able to offer a safer and better outcome for my patients. I suspect in the near future, there will be a day when physicians will look back and talk about the old days when they used a sharp needles and wonder why they didn’t make the switch sooner. At Victory Medical Spa in RI we are proud to be able to offer the most advanced injectable techniques, all performed by James A. Gallo, MD, at the most competitive prices in RI. Call Kim at 401-458-0825 if you have any further questions or would like to schedule an appointment. Click Here to learn more about Juvederm (as well as other ways to get rid of wrinkles) at Victory Medical Spa. Dysport in Rhode Island, come try it! Most of us our familiar with the word “Botox” as it pertains to helping relax the muscles that cause wrinkles such as crows feet, frown lines and forehead lines. But many still aren’t aware that there are other products on the market that essentially do the same thing. Botox is to wrinkle treatments as Kleenex is to facial tissue. Keeping that in mind, let’s look at another wrinkle treatment product, Dysport, which was approved by the FDA in 2009 and has been used in Europe even longer with an equally effective and safe profile. 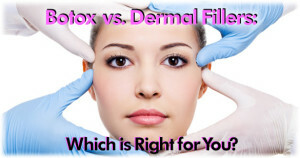 Both are both botulinum toxin type A proteins which can be injected into the facial muscles to help relax wrinkles. Dysport achieves the same results except with a quicker onset. For years many patients also felt it lasts a bit longer than Botox. But it wasn’t until a long awaited 2013 study*, performed by plastic surgeon Dr. Ramtin Kassir, that this claim was affirmed. Of the 85 patients participating in the study, a higher percentage showed a faster and longer lasting improvement with Dysport. The results are a clear demonstration of efficacy showing a higher response rates into the 4th and 5th month than compared to Botox. At Victory Medical Spa, we offer Dysport and also agree with the results of the study. Majority of our patients also prefer it over Botox. Even better news is it costs a little bit less. We are currently offering a summer special of only $9 per unit*. In addition, you will also receive a $25 mail in rebate back from the manufacturer. *The 3:1 ratio has already been figured into the Dysport unit pricing for simplicity when comparing to Botox unit pricing.